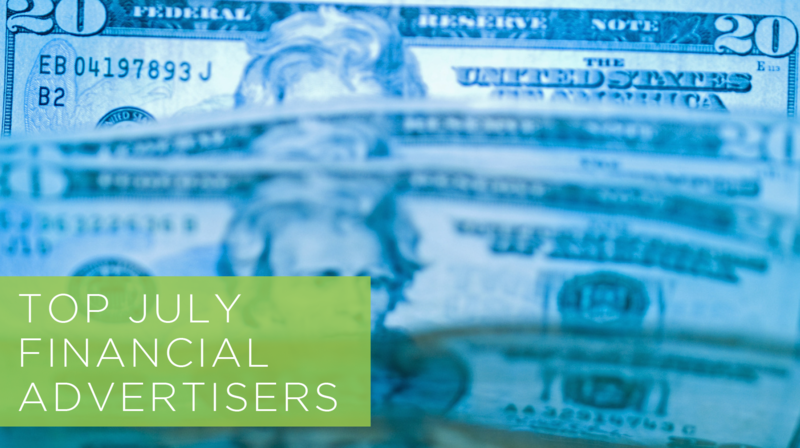 Who Were the Top 3 Financial Services Advertisers in July 2016? In July alone, the top three financial services spenders in digital advertising spent more than $37 million combined in the U.S.—on desktop alone. However, these three giants’ spend strategies differ greatly and yield very different results when it comes to impressions, according to Pathmatics data. We’ve compiled a breakdown of the top three players’ desktop ad spending from July 1 to July 31, 2016, including where each advertiser is gaining impressions and which is realizing the best CPM. 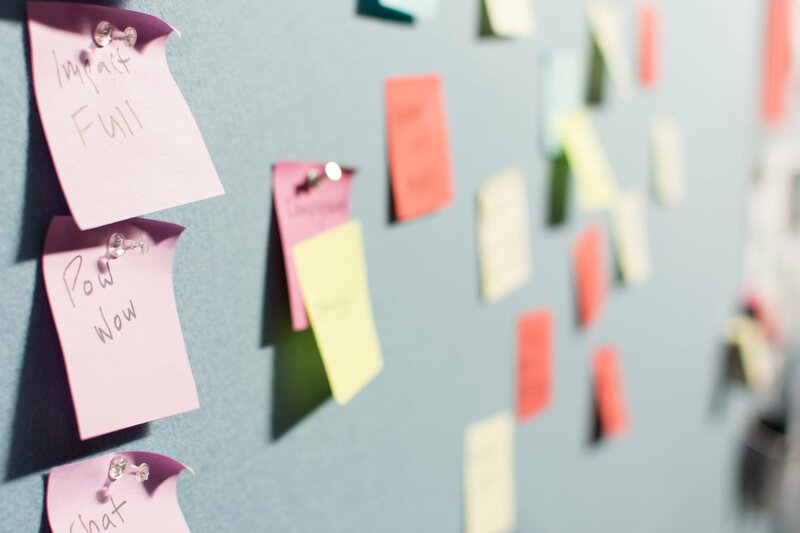 Read on for intelligent insights into your competition. Capital One was the big spender in July 2016, with more than 19 percent of the industry’s spend. This is more than double the budget of the second highest spender in July, State Farm. About 75 percent of this industry giant’s impressions stemmed from direct in July, while the other twenty-five percent was through ad networks. July 24 was Capital One’s biggest spending spike at more than $2.4 million. The company saw about 342 million impressions that day. With the second highest impression share in the industry, State Farm ended the month at 6.2 percent. However, the company’s spend came just shy of Geico, the fifth top advertiser by impression volume in July. Seventy-one percent of State Farm’s desktop spend was on direct buys in July, while 18 percent was through DSPs. 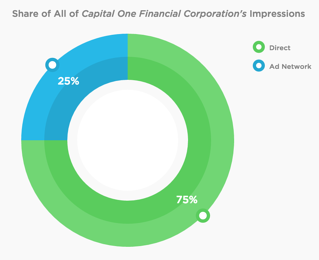 Unlike Capital One, State Farm saw a significant impression spike on July 8, which directly correlated with ad spend. On its highest spending day, State Farm spent nearly $2.7 million and received more than 142 million impressions. Discover Financial Services rounded out the top with the third largest spend share of all the industry players at 5.34 percent. Discover Financial has the lowest CPM for the month of July. 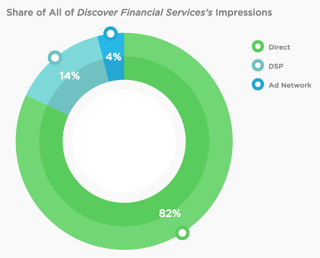 Eighty-two percent of impressions in July came from direct spend, while another 14 percent were from DSPs. The highest number of impressions came from partner RocketFuel. Discover had an ad spend spike on July 19, spending over $1.5 million in one day, while the company only received about 133 million impressions that day. This is 120 million less than the company’s highest impressions day on July 6. Pathmatics aims to make digital advertising more transparent—so brands and buyers can stay ahead of the competition. That’s why sharing insights like these is an important part of what we do. Data and intelligent insights gleaned from Pathmatics software can enable you to construct a smart spend strategy. Source: Pathmatics US Desktop Data, 7/1/16-7/31/16. Want more? Download our Q2 Financial Services Advertising Spend Report for even more inside information. Download the guide. 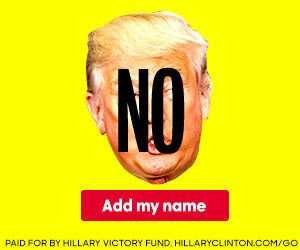 What Ads Are Democrats Running Against Donald Trump? Find Out Here.